I didn't grow up as a Christian or even going to church, so names of churches never made much sense to me. I knew Lutheran was named after Martin Luther. The words Episcopalian and Presbyterian were Greek to me (I later found out they are actually Greek words), and I assumed Pentecostal had something to do with the number five, but I didn't know enough about the Bible to understand it. When I found myself drawn to Jesus and His teachings, I ended up in a Baptist church. I associated Baptist churches with intense fire and brimstone preaching, legalistic rules, and Christianized politics. I quickly discovered that these things are often more about culture, geographic region, personal preferences, and human dysfunction. I am now the lead pastor of a “Baptist” church. What does it mean to be “Baptist?” Here’s six “baptistic distinctives” that I'd like to see more exemplified in Baptist (and other) churches around the world. Baptists are a group of Christians that came out of the “reformation” tradition of Christianity. Instead of conforming to established mainline churches steeped in years of traditions, Baptists (like other reformers) said, “Let’s get back to the Bible.” Baptists believe that reading, knowing, and living according the Bible is at the heart of what it means to be a follower of Jesus. Baptistic churches place a strong emphasis on the Bible more than traditions. They also believe that each person is directly accountable to God for their decisions, so empowering people to read, learn, and live out Jesus’ teachings for themselves is more important than coming to church to hear someone else talk about it. What role does the Bible or Jesus play in your life? Historically, Baptists were called “conversionists.” When other Christians were saying, “I’ve been a Christian since I was born,” Baptists emphasized Jesus’ teaching that each person needs to be “born again” (John 3). They believe that each human being needs to have a personal experience of coming to God for themselves. They believe that each person should be able to say, “This is what it was like before I made a decision to follow Jesus, and here’s what my life is like now.” This is also why “Baptistic theology” is very focused on evangelism. God wants every person to have a personal relationship with Him and have their own God Story. Jesus invited everyone to have a “spiritual birth” (or be “born again”). Baptists believe the most biblical way to show this new life of faith is through baptism (see Romans 6:4). 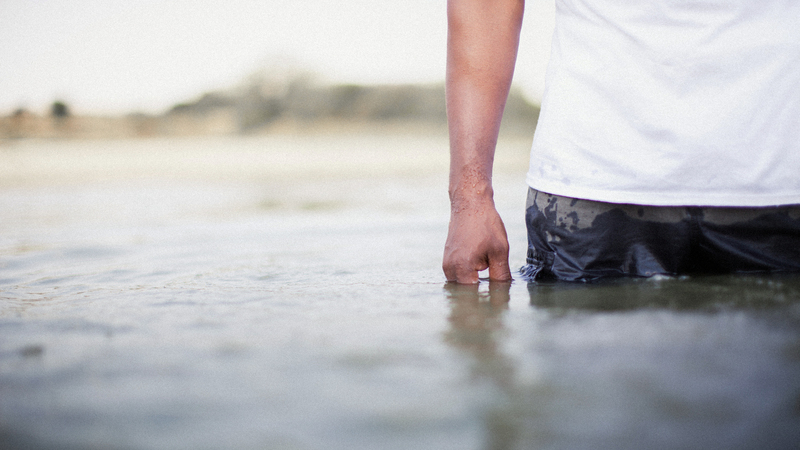 Baptism along with Communion are symbolic ways to show that you are a follower of Jesus. Which is why most Baptist churches don’t baptize infants, but wait until they make their own confession of faith (and have a conversion story) in order to be baptized and take communion. Baptists also believe that baptism and communion are “ordinances” not sacraments, which means they are symbols of remembrance and proclaiming, not acts of grace or ways of experiencing a special spiritual blessing. Have you been baptized as a symbol of your new life in Jesus? Stay tuned for "Being a Pastor of a 'Baptist' Church, Part 2" in next month’s Journey eNews.